Emily is a seasoned Hunter/Jumper rider, her first time in the saddle was at 3 years old .Emily was fortunate to have begun professional training at 6 years old and was jumping competitively at the age of 8. She showed solid talent early on in the equitation ring capturing many year end equitation awards as a 9 year old. Emily continued to show and train heavily and at 10 got her first "baby" to work with - bringing a 4 year old pony to the show ring to an immediate championship. Her feel for how a horse likes to go became apparent early on and she rapidly became a popular working student for several trainers. By 14 Emily had taken several breaks (fractures) to her right knee and foot ending her potential as a top eq rider - and she exited the equitation ring and began to refocus her attention on the hunter/jumpers finding her true love as a teenager in the jumper ring. In 2012 she caught the eye of Four Time Hall of Famer - Robert Gage. Emily has been fortunate to work with Robert here in Michigan dozens of times - and is his frequent catch rider during his Michigan clinics riding as many as 16 different horses in a weekend. Her popular pony "When In Rome" rode to back to back jumper classics in Traverse City and then Kentucky in 2013 and subsequently nearly undefeated performances in 2015 and 16. She attended USEF Pony Finals in 2013 with both her small green pony " Apricity" and "When In Rome" in the jumper ring - taking the first pony jumper to finals from the state of Michigan in over 5 years, Her TAKE2 tb jumper "Tempest" has performed very well in the TB jumper stakes and Children's and later the Adult Jumpers bringing home multiple championships on the USEF. Emily has shown all over the United States, including USEF venues at WEC, The Kentucky Horse Park, HITS Ocala and HITS Thermal. She has multiple year end championship awards on the Michigan circuit and has additionally received multiple placements in the USEF Zones Horse of the Year Awards. Her awards and recognitions also include multiple circuit championships and in 2016 she also received the Leading Rider Award at the 5/16 May circuit shows in Michigan. In the fall of 2017 Emily officially declared her pro status and by the spring of 2018 has begun to have developed a following of students. She's known to teach a spectacular flat lesson and can solidly advance riders in their dreams over fences. Her true passion is to find the under dog (horse) and develop it to its fullest potential. Her current personal horses include 4 "second career" horses and she hopes to expand her crew with some amazing breeding opportunities. Her personal interests encompass both saddle fitting and tack, and an intense interest in equine nutrition. 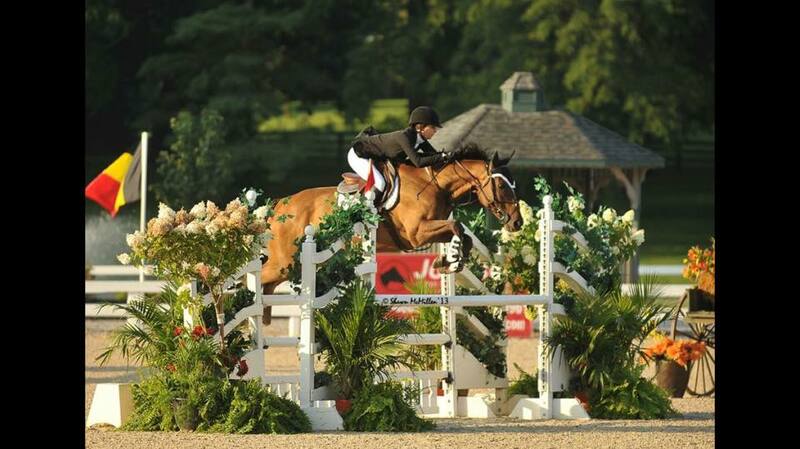 Lauren Nassar began taking hunter/ jumper lessons at Oakland Hills Farm in 2004. In 2008, Lauren became a working student at Oakland Hills Farm, shadowing trainers Sarah Robertson and Tim Sullivan, as well as learning the intricacies of proper daily horse care, veterinary follow up, and supporting health and quality performance in equine athletes. In 2009, Lauren became the head show groom for Oakland Hills, overseeing all details of the farm’s organization and horse care while on the road. In addition to her extensive knowledge of horse care, Lauren has extensive experience in riding and training young and/or green horses and uses her background in hunter/jumper and dressage to build a supple, balanced, and responsive horse for the show ring. Lauren joined Ringside Equestrian Center, LLC as the Head Trainer in 2016. Robert Gage has won many titles during his impressive career, having competed in the United States and Europe. Rob, one of four standout riders, along with Susie Hutchinson, Hap Hansen and Robert Ridland, all came up with the Legendary coach Jimmy Williams. They all have made a historic mark on international Show Jumping. In his enviable career, Rob Gage was named AGA Rider of the year in back-to-back years, four time West Coast Rider of the year, and a three time World Cup team member. In consecutive years, Rob was the winner of the Prestigious “Rolex Crown of Excellence“, which is awarded to the Grand Prix rider with the most wins in the country. Known as a speed demon in the Grand Prix ring, Rob would gallop at warp speed to the most daunting of obstacles and nail the perfect distance. He has piloted such notable horses as Largo, Furst Z and Sage. Although he may be best known for his riding career, and his featured role playing himself in the 1985 film “Lighting the White Stallion” with Mickey Rooney, Rob Gage has gained equally as much fame as a coach. His students have won over 25 different Equitation Medal Finals, including two USET Finals Championships. He has also sent students to Young Riders Championships from 4 different zones – returning as individual medalists. His students thrive on his intensity. His competitive fire is contagious. Rob inherently ignites their confidence and love of the sport. He has traveled far and wide, giving clinics throughout the continental U.S., New Zealand, South Korea, Alaska, Hawaii, Costa Rica, Venezuela and Mexico. He has coached other well known Grand Prix riders on their way to highly successful career’s, like Pablos Barrios of Venezuela. Rob is an “R” rated USEF Judge, judging at top horse shows around the United States. He is also a well known course designer, a challenge he particularly enjoys.